Vanquish® insulators are manufactured from renewable, post-industrial cotton waste. This environmentally friendly product meets or exceeds all OEM acoustic and material specifications for acoustical insulation in its class. 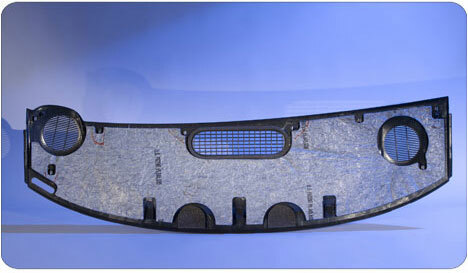 An excellent value, Vanquish insulation is utilized in all interior cabin trim applications including headliners, package trays and door panels. Vanquish is easily attached directly to trim panel components with heat, adhesives, or mechanical attachments.